For 10″ to 26″ flat panel screens. Matching elements of easy installation and user-friendliness are found in this pivot mount. It boasts a low-profile wall plate design that easily attaches to the wall with only two screws. This pivot arm extends away from the wall with ease and closes back up to save space. The arm’s multiple pivot points allow the flat panel screen to swivel, tilt and roll for the perfect viewing angle adjustment and screen leveling. It’s fully integrated cable management system eliminates unsightly cable clutter and provides a safeguard. 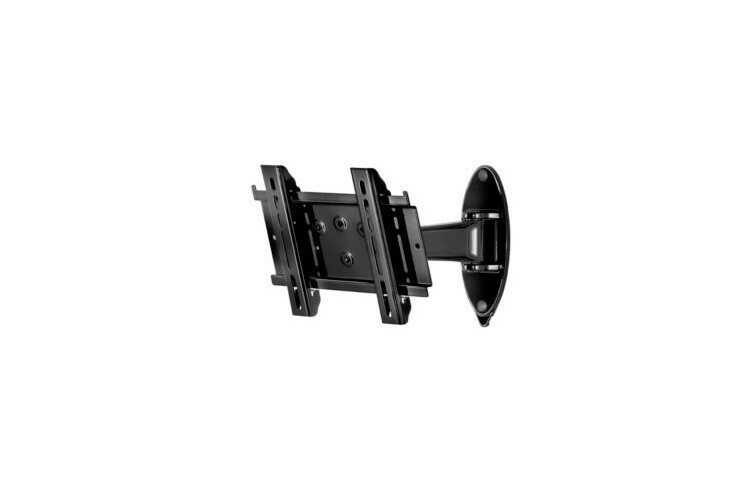 Designed and built-in the USA, this mount maintains the same brilliant look as the entire SmartMount® 700 Series line of articulating wall mounts and pivot wall mounts. Arm extends up to 10.16” (258 mm) from wall. ±7° roll aide in post installation screen leveling. Integrated cable management keeps cables and cords out-of-the-way.